We know that New Mexicans are concerned about animals and appreciate legislative leaders who value animals in our society. 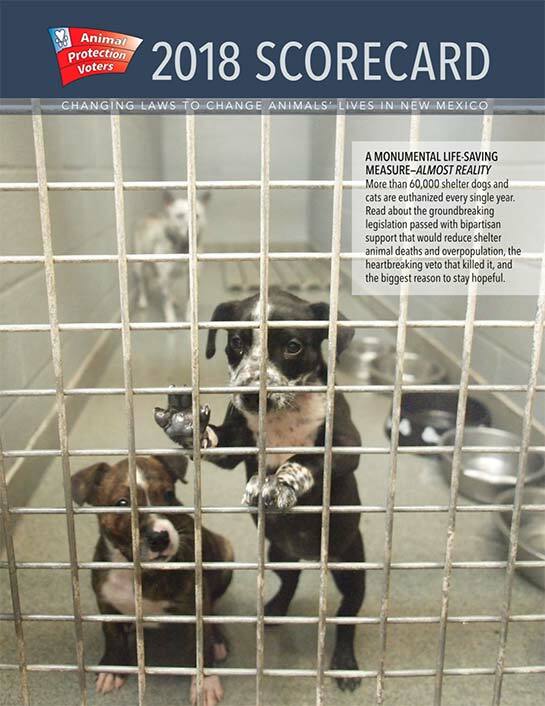 That’s why Animal Protection Voters publishes an annual Scorecard—so that New Mexicans across the state can determine if their legislators share their humane values. By filling out the form below, you will get access to the .pdf legislative scorecards from 2003 – Present.